With an HMI SafeGuard™ security storm door you don’t have to sacrifice style for security. The heavy 16 gauge welded steel door frames give you the security you seek, and our designs give you the beauty you desire. Every door is custom made to fit your entryway. Whether it is our traditional; modern; sunshine; forged or laser cut series there is a design that is perfect for your home. 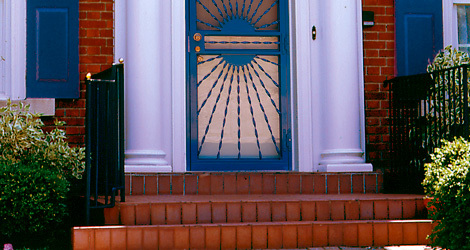 Most doors are available in arch top styles. There are 5 arch top shapes to choose from to fit your architectural needs. Black is standard with 22 optional powder coats matching our entry door colors.